In a family of dentists, Dr. Libby enjoys the challenges of coming up with the best ways to improve patient care. With CEREC, same day dentistry is possible! We invest in technology to invest in your smile, and are proud to service Bay Park and Morena in San Diego. Call our office at 619-597-1134 and schedule an appointment today to learn more about cosmetic dentistry at Libby Dental. Tight Schedule? Your crown is made in just minutes! CEREC (also known as Chairside Reconstruction) is a funny word for a highly advanced form of dental technology. Using CAD/CAM software, CEREC integrates with your diagnostic planning to produce exceptional results, without the wait on an external dental lab. 3D Virtual Roadmap Of Your Mouth: You never knew what your smile really looked like–until now. CAD/CAM technology performs a comprehensive scan of your mouth that is instantly combined into one, 3-Dimensional image for you to easily understand. Advanced Diagnostics: When we can view the nerves, gums, bones and teeth, we’re able to form comprehensive treatment planning that targets the source, not just the symptom, of your dental concerns. Aesthetic Excellence: Your new dental implant or crown shouldn’t have to look like a dental implant or crown: it should look like your very own, natural tooth! CEREC one day crowns are specially crafted in-office, under the supervision of yourself and your dentist, so you can have the final say on the size, shape and color. Less Time. More Dime: Don’t keep missing work to make multiple visits to the dentist. 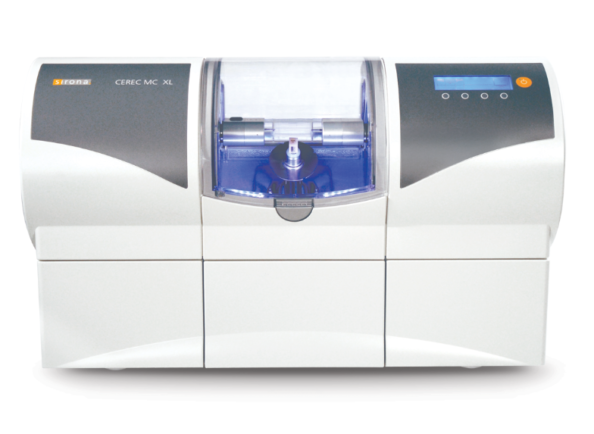 With CEREC, our team is able to specially design and mill your custom in minutes, in-office, using some of today’s most advanced dental technology. We’ll use 3D imaging technology to create a virtual impression of your teeth, revealing the size, positioning and placement needed to create the best aesthetic and functional result. You will have the opportunity to discuss and decide the best shape, size and color of your replacement tooth or crown. Instead of having to place a temporary crown or send off your impression to a lab, your crown is milled by our CEREC machine right here in our Mission Valley office. Dental crowns aren’t just quick to make these days, they’re built to last, too. Your new dental crown may last several years or decades with proper care at home.